Houston has oil. New York has finance. Los Angeles has entertainment. And what does Sarasota have? Something even better—weather. It’s not perfect. Ask anybody who lives here when September comes around. Or when last year’s Hurricane Irma seemed poised to cover Siesta Key with 10 feet of water. But all that is forgiven when February arrives. The news is full of blizzards up North, and we’re basking in the balmy, dry 70s. We stare at snowdrifts and icy interstates on TV and thank God we’ll never have to go through that again. It’s a feeling that never gets old. Weather created Sarasota. You could even argue that everything good that’s happened here has been tied to our glorious weather. Statistics bear out that it really is good. The average year-round temperature is 72 degrees. The average high is 83. The average low is 62. There are 251 days of sunshine each year. The U.S. average? 205. We have only 20 rainy days per winter. And something called the “comfort index” awards us a score of 83 out of 100. The average U.S. score is 54. For more than a century, that weather has lured people here. In 1885, a development company planted articles in Scottish newspapers about blissful temperatures in a bustling seaside town called Sarasota. A group of Scots braved the Atlantic Ocean in December for a new life in paradise. They arrived on Dec. 28. Instead of a town, they found mucky waterfront without a building in sight. To make matters worse, on Jan. 9, it snowed—yes, that does happen, maybe once every 25 years. Most of them fled back home. 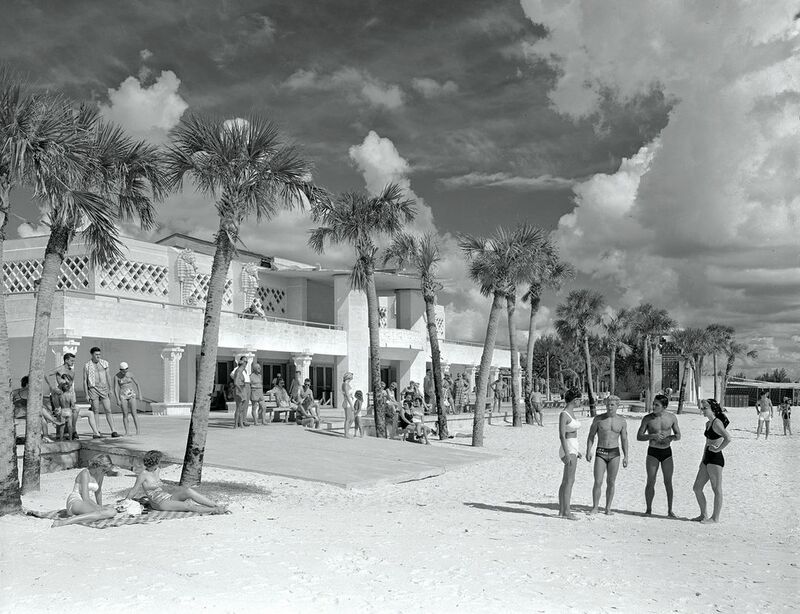 For decades Sarasota’s favorite meeting place was a lavish beach pavilion on Lido Key. The entire city was built with outdoor recreation in mind. The town didn’t have much else. It was not well located, way off by itself in a primitive stretch of Florida. It had no natural harbor to make it a major port. There was no history or culture to speak off. No manufacturing, no cigars like Tampa (except for one small factory on Palm Avenue). The main industries were growing celery and making turpentine. And until the railroad arrived in 1903, getting here required a lengthy journey, with the last stretch by boat. 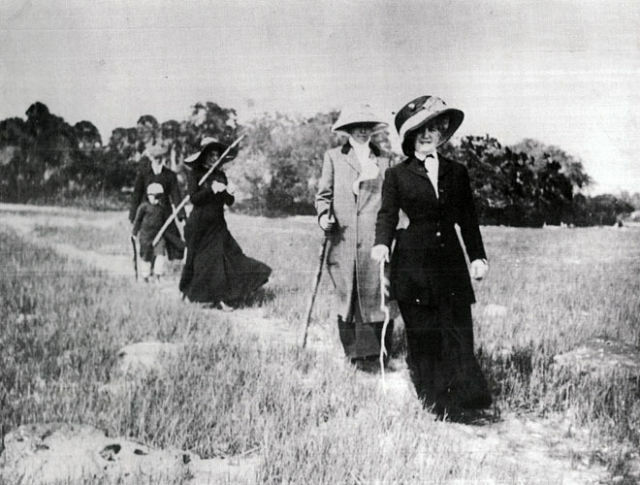 Bertha Palmer (foreground) takes a stroll on her property in what is known today as Palmer Ranch. Soon her wealthy friends from Chicago were to join her, escaping the frigid Northern winters. But with its wide, sandy beaches, blue waterways and green inland forests, it was beautiful. Bertha Palmer, a wealthy Chicago widow and socialite, thought it was the prettiest place she’d ever seen. Palmer discovered Sarasota through—what else?—a newspaper ad. She came down in 1910 with her father, brother and son. They spent a week at the Halton Hotel on the bayfront. The Palmer party drove around, and Bertha liked what she saw. She purchased 90,000 acres. More importantly, she told her wealthy Chicago friends about her new discovery—a winter paradise that could rival anyplace in the country, even Europe. John Ringling and his brothers arrived about the same time and did even more to promote Sarasota. John and his wife Mable began spending summers here in 1912, and by the 1920s, they were building a palatial home on the bay. In 1927, the Ringling brothers made Sarasota the winter home of their famous circus. Nobody could promote like John Ringling. He bought land and laid out boulevards, housing developments and business districts. He dreamt up a complete town—not one with office buildings and factories for workers but with recreational facilities for a leisurely and privileged lifestyle: beaches, fishing piers, docks, marinas, golf courses, tennis clubs, grand hotels. Bertha Palmer gave Sarasota class and John Ringling gave it glamour. It was an unbeatable combination. So successful were they that Sarasota, almost 100 years later, still enjoys the image of a sophisticated playground for the cultured and wealthy. 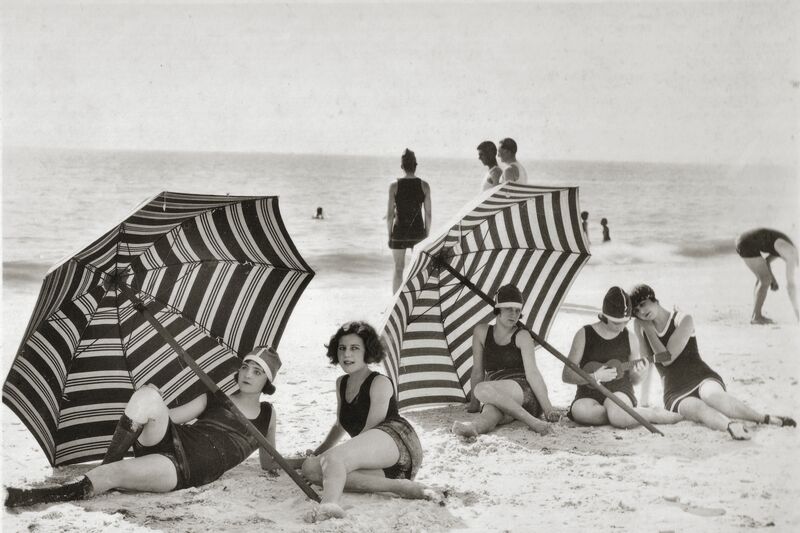 The early years of the 1920s were a Golden Age for much of Florida. 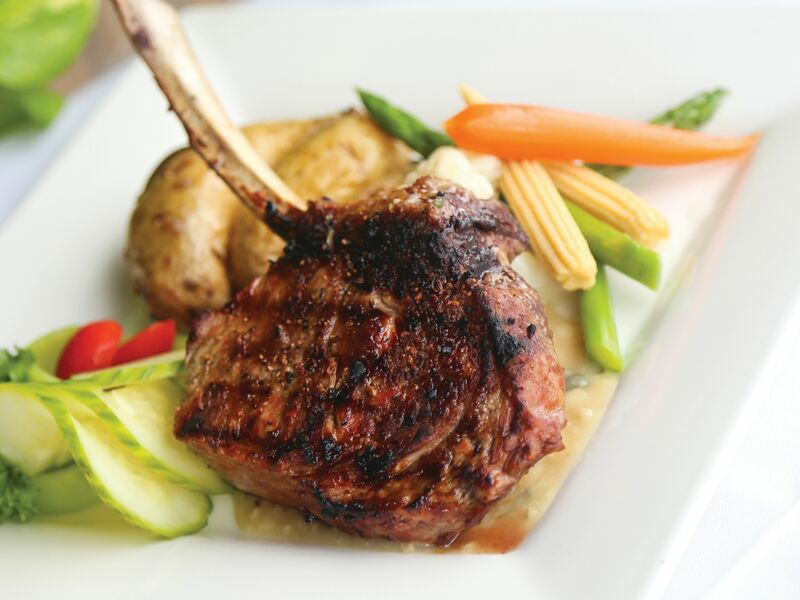 A new Sarasota appeared, with impressive Spanish-Mediterranean buildings and glamorous hotels, and a real estate frenzy gripped the town. Lots were sold several times a day, each time for a larger price. The town was crammed with salesmen and hucksters and the future seemed unlimited. Then came the winter of 1926. It was unusually cold and the market stumbled. Sales stopped climbing, then started declining. 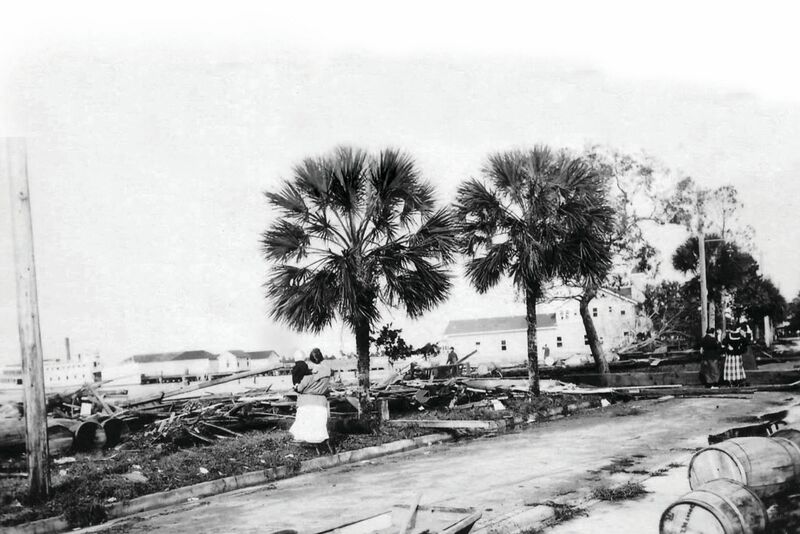 Within months the great Florida land boom had collapsed, and Sarasota reverted to what it had been before—a small, sleepy town in the Florida hinterlands. Here in Florida the seasons move in like nuns in soft clothing, making no rustle in their passing. True, those Gulf breezes and afternoon rains could cool things off, and it might be hotter in Boston on any given day. But the heat was relentless, and a wet, sweltering blanket of humidity added to the agony. September was worse than August. 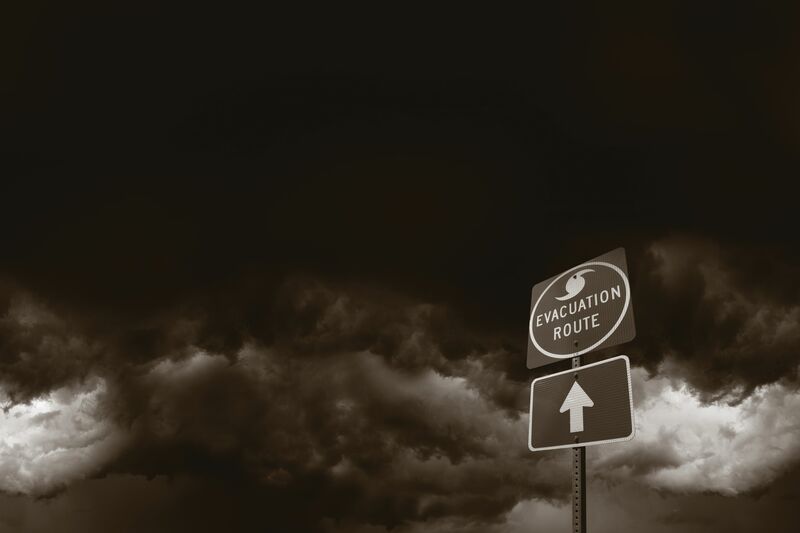 And the threat of hurricanes always loomed.Winter visitors—the ones who still had money during the Depression—continued to come. But the place now belonged to the townspeople—the teachers, the postal workers, the clerks and the cops. It wasn’t a winter resort for them. It was home. And they knew Sarasota’s dirty little secret—summer. In those days, homes were built to accommodate the heat. They had high ceilings, lots of windows, sophisticated cross ventilation, and were set up on blocks to improve air circulation. Trees shaded the western side, and wide porches and verandas were used as living spaces, particularly in the early evening. Upstairs was a screened sleeping porch. Even the new-fangled Spanish homes were built with all sorts of heat-reducing elements: hollow tile construction, cool tile floors, covered verandas and pergolas. 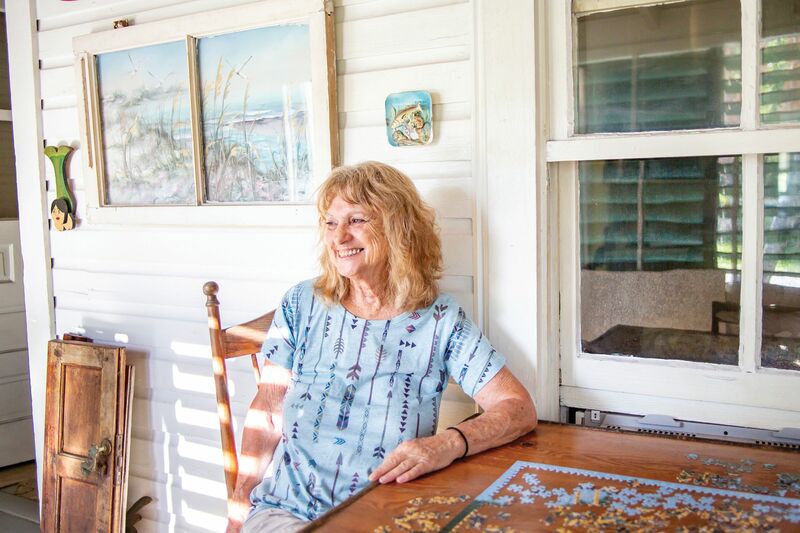 After World War II, Sarasota’s warm winters created a new lifestyle: retirement in paradise, and not just for the wealthy. 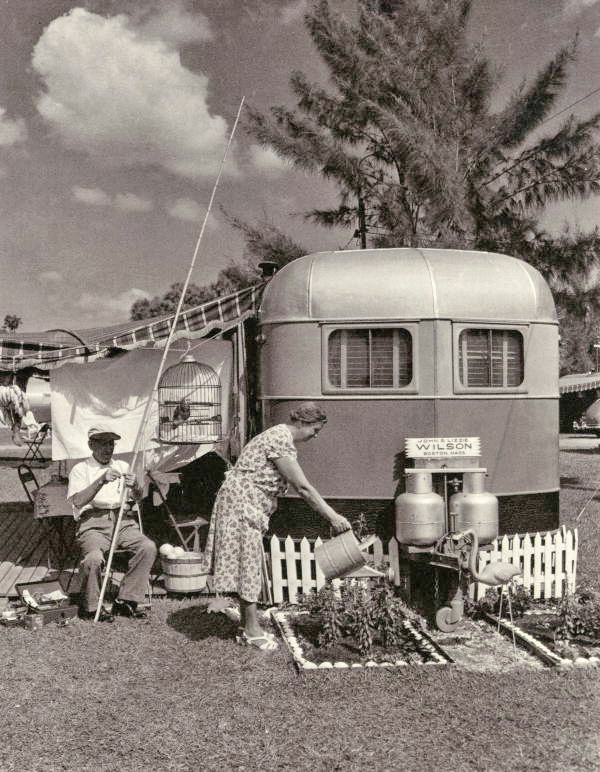 Here, John and Lizzie Wilson from Boston tend their new Florida garden in 1951. But still, temperatures soared inside. People had to adapt to the weather. Chores were done before 10 a.m., and housewives didn’t use the oven during the heat of the day. The electric fan was a godsend, even better with a block of ice set in front of it. Ice, in fact, was a big business, both its creation and delivery. In 1927, a 100-pound block cost 40 cents. On summer Wednesday afternoons, many businesses closed. “Gone fishing” signs were posted on their doors; people also took naps or went to the beach. Rested and refreshed, some store owners would reopen for a few hours in the early evenings. And even though the boom was over, life during the rest of the year was enhanced by the Winter Quarters of the Ringling Bros. and Barnum & Bailey Circus, the largest tourist attraction in the state. Spring training, which started in 1924 with the February arrival of the New York Giants, another weather-related stroke of good fortune, provided more excitement—and income. And the town still looked great, with all the beautiful buildings from the boom. But from 1926 to 1930, the population grew by exactly 113 people. The promise of year-round golf has always been crucial to Sarasota’s growth, and it’s still at the top of the wish list for many newcomers. 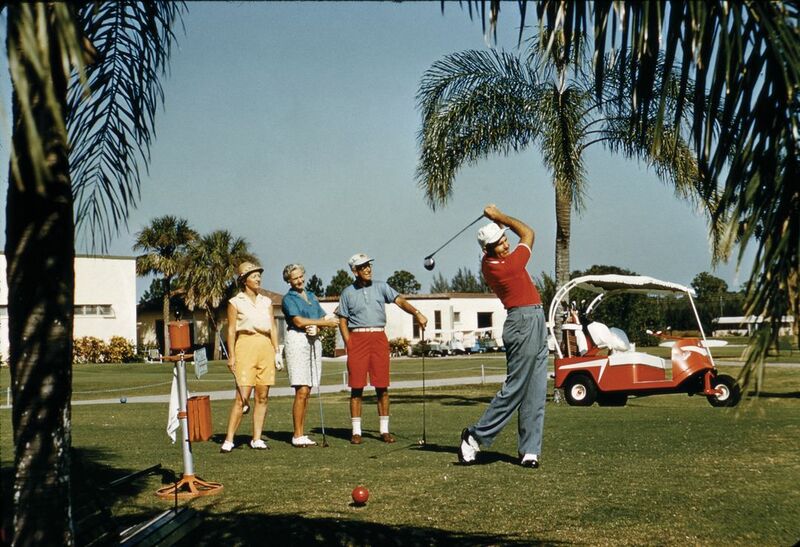 Here, a dapper foursome tees off at Sara Bay Country Club in 1960. 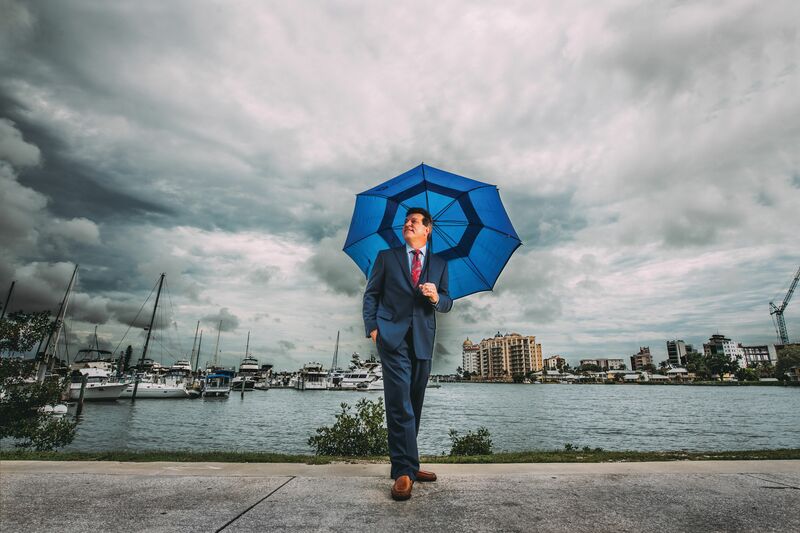 It could be said that modern-day Sarasota was born in a town in the Florida Panhandle called Apalachicola, where in 1851, Dr. John Gorrie invented the air conditioner by running compressed air over ice. His invention was intended to help people suffering from fever. There is a statue of Gorrie in the U.S. Capitol that I’m sure is nowhere big enough. Slowly, the invention was improved, including by a New York engineer named Willis Carrier, and industrial applications were developed. Paper printed better in an air-conditioned plant. Cotton didn’t pucker in an air-conditioned mill. And workers in such places proved to be 24 percent more productive. Florida is the only natural ‘air conditioned’ state in the country and its climate is the state’s most valuable asset. Movie theaters were the first public places to get air-conditioning, and by the 1930s, just about every theater in the country was air-conditioned. Before then, concert halls and theaters often closed in the summer. Now they were the most comfortable places in town. The concept of the summer blockbuster has as much to do with air conditioning as movies. Local historians aren’t sure when Sarasota theaters first got air conditioning, but it’s likely that sometime during the 1930s, patrons began enjoying cool air at the Ritz Theater on Main Street (“colored” patrons had to experience it in the segregated balcony) or at the Florida Theater (now the Sarasota Opera House), where ushers would go a step farther to make patrons comfortable, spraying their feet with mosquito repellent. Several banks also had air conditioning, as did Walgreens Drug Store, but it wouldn’t become common in homes until Carrier invented a wall unit in 1951. It was still very much a luxury, costing $250, which was a month’s salary for most people; but within a decade or so, almost every home was air conditioned. With the arrival of air conditioning, Sarasota became a little more formal. 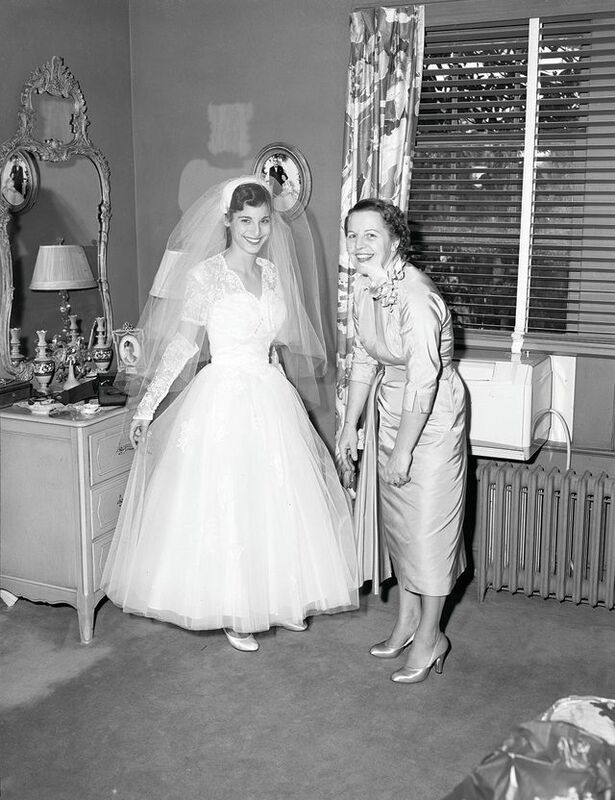 Here a bride and her mother prepare for the nuptials next to a very deluxe-looking wall unit, circa 1955. Air conditioning changed everything. Houses had to be built almost the opposite of the old way. Concrete block, which kept the air in, replaced wood. Low ceilings replaced high, so there was nowhere for the air to rise. Windows decreased in size and number—the less cross ventilation the better. And instead of a front porch, when the evening rolled around, the family gathered in a “Florida room” at the rear of the house, watching television, the other wonder of the age. Sarasota moved indoors and shut the windows. You no longer fell asleep lulled by crickets and the rustle of the palms—or lay awake, stifled by the humid heat. Now it was the rattle of the air conditioner that animated the night. By day you went from your cool home to your cool car—cool after an agonizing couple of minutes, that is—to your cool office, your cool supermarket, your cool school. Schools were among the last buildings to be air conditioned. As late as the mid-1960s, only the west-facing side of Sarasota High was air-conditioned, and students schemed to take all their classes there. The new Paul Rudolph addition (1960) was designed not to be air-conditioned. Year-round living in Sarasota was now a real possibility, and people streamed down from the North. From 1950 to 1960, the county population swelled from 28,827 to 76,895—a 167 percent increase. A number of factors accounted for the influx. Social Security gave retirees a guaranteed income, allowing them to live on their own as they aged rather than move in with relatives; improved health care meant they lived longer; the low cost of Florida living was hard to beat; and mosquito control removed the other scourge of the times. But Sarasota’s growth never would have happened without air conditioning. Sarasota’s balmy weather meant even art could be created outdoors. 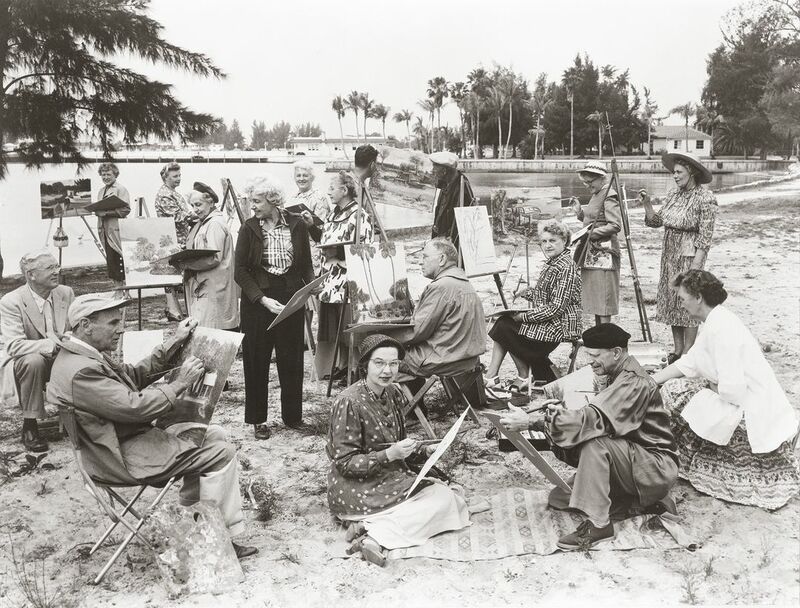 Plein air painting became all the rage, as evidenced by this group of middle-aged aficionados in the mid-1950s. But it’s one thing to recount history and quite another to describe Sarasotans’ passionate love/hate relationship with their weather. That relationship is reflected in the city’s art, which often depicts or is inspired by the weather. For example, the 1981 film Body Heat takes place in a fictional Florida town that is a dead ringer for Sarasota. The shady characters, played by William Hurt and Kathleen Turner, wallow in hot, sticky nights where things go wrong and bad choices are made. The heat fills every scene and inflames people’s passions. It’s a classic example of the atmosphere that defines Florida in movies and crime novels. Ever since Key Largo with Bogart and Bacall, it’s been an unwritten rule that nearly every Florida book or movie must have a hurricane, the bigger the better. 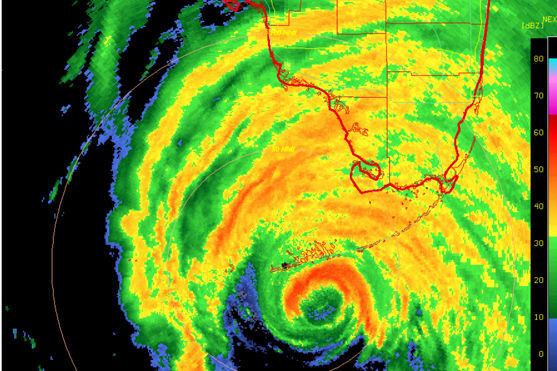 And the greatest fictional hurricane of them all takes place right here in Sarasota. The book is Condominium by the late Sarasota writer John D. MacDonald. 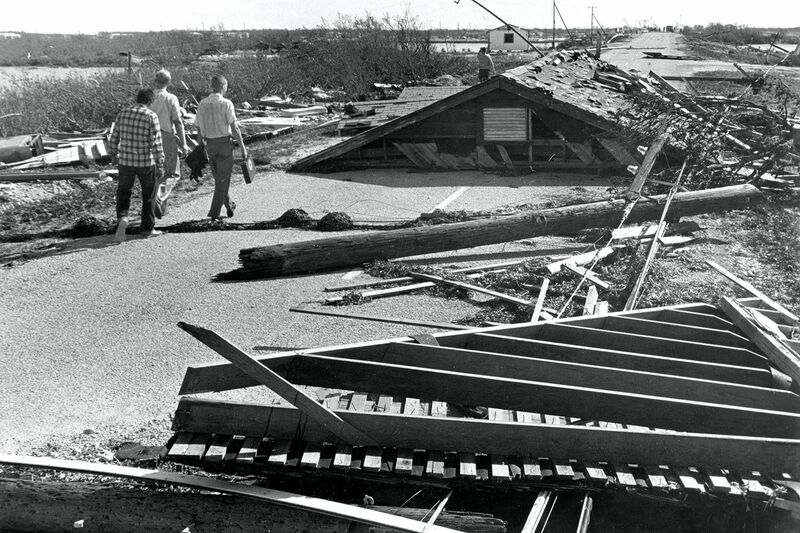 A monster storm attacks and destroys a barely fictionalized Sarasota. The reason? Retribution for crimes against our beautiful environment. The Florida sun seems not much a single thing overhead but a set of klieg lights that pursue you everywhere with an even white illumination. The visual arts have painted a gentler picture. From the earliest days, Florida painters have celebrated nature and the weather. The famous Florida Highwaymen literally painted the weather—it’s always beautiful in their dramatic sunsets and tropical landscapes. Sarasota may be the epicenter of the Florida beach painting, examples of which can be seen in every vacation rental in town. At a higher level, Craig Rubadoux and the late Syd Solomon painted scenes of sunshine, storms and the ever-changing Florida skies. 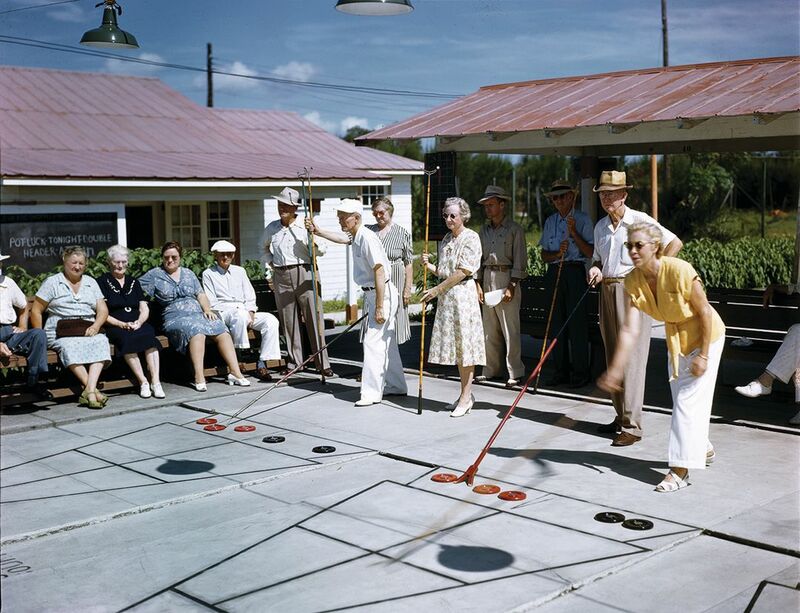 And the famous photographs of the late Sarasotan Joe Steinmetz feature people enjoying the outdoors, from beachgoers to shuffleboard players, always captured in the dramatic light and shadows of the Florida sun. Our claim to architectural fame, the Sarasota School of Architecture, was a direct response to the weather. The goal of those midcentury architects was to update the art of building for a hot climate, with overhangs to keep out the sun and lots of innovative methods of cross ventilation. But the triumph of the new artificial climate created by air conditioning made that style obsolete. These days, Sarasota’s weather is more important than ever. The climate, which made our town so inviting and prosperous, now threatens our future. 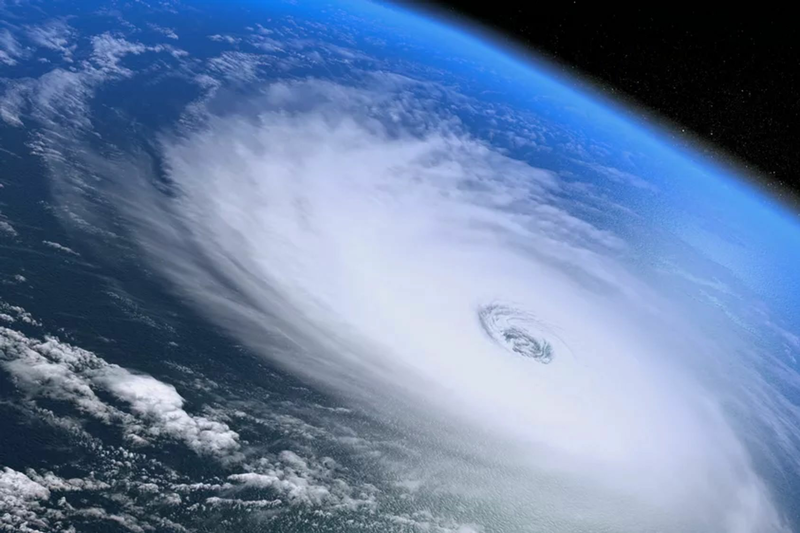 Will global warming ruin everything? Will it get too hot to live here? Scientists warn that the seas are rising and could reshape the local landscape within a century. They certainly have risen in the past. Our beaches used to be 100 miles out in the Gulf. Nature always wins in Florida. But today it’s 83 degrees, there’s a breeze across the golf course, and the blue-green Gulf has never looked more inviting. So let’s get out the raft and make some margaritas.